Last week, we brought you up to date with the latest information about the Candy Crush live-action television game show. The popular app has made the jump to television and sports the largest touchscreen displays ever made. Today, game developer King announced that it will launch a series of live in-game events that will allow home viewers to face the same challenges as the contestants playing the game on television are. Each week, four teams (each comprised of two players) compete on the gigantic touchscreen boards using their entire body to swing, swipe and slide in an effort to match candies. The top two teams during each show will square off, aiming at the top prize of $100,000. The winner is the first team to score 50 matches. And with the in-game events, the home audience gets a chance to earn some rewards. 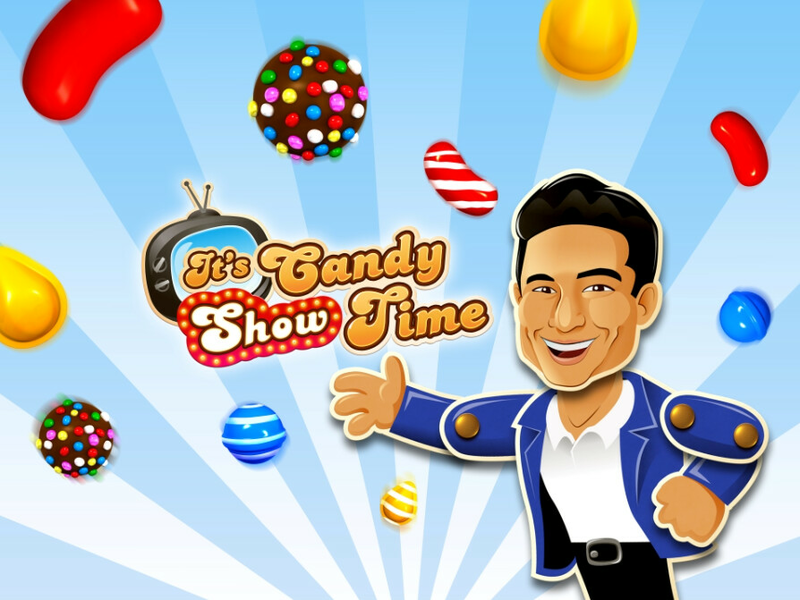 Those participating in the live in-game events will take directions from a "candified" version of show host Mario Lopez. The in-game events can be played by those using iOS, Android, Windows and the forked Android used by some Amazon devices. The show will run for a 10-week period starting on July 7th. During each of those 10 weekends,there will be four different mini-challenges for home viewers to participate in. Candy Crush Saga: Each week, players will be given four mini-challenges to complete, imitating the four King-sized challenges contestants will face in the TV Show e.g. collect 60 red candies. As players complete each mini-challenge, they can claim a prize. If players complete all four challenges, they’ll receive a treasure chest full of rewards. Candy Crush Soda Saga: Each week, players choose between four teams – these will feature the show’s contestants from that week. Each team is then set a target e.g. to collect as many green candies as possible. Players continue with the game as normal, while an in-game tracker keeps track of how they’re doing. The winning team can then pick between a range of different prizes. Candy Crush Jelly Saga: In a set amount of time, players will be faced with a single challenge; collect as many cupcakes as you can! If players reach the goal within the time limit, they are rewarded with a gift. Since its launch in 2012, more than 1 trillion rounds of Candy Crush Saga have been played, and the app remains one of the world's most downloaded games. As for the game show, you can find it on CBS every Sunday for 10 weeks starting July 9th at 8:00 PM CDT (9:00 PM PDT / 7:00 PM EDT). King now wants to cash in on it's popular game by creating a TV show of the game... So fortunate. THIS is what CBS cancelled a bunch of sitcoms for? Really? TV show sounds just as horrible as the game.